2013 13 PEUGEOT 508 2.0 HYBRID4 4d AUTO 200 BHP IN METALLIC GREY WITH ONLY 53249 MILES IN IMMACULATE CONDITION. 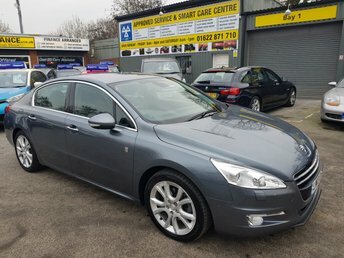 APPROVED CARS ARE PLEASED TO OFFER THIS PEUGEOT 508 2.0 HYBRID4 4d AUTO 200 BHP IN METALLIC GREY WITH ONLY 53249 MILES IN IMMACULATE CONDITION WITH A HUGH SPEC INCLUDING SAT NAV,FULL LEATHER INTERIOR,CRUISE CONTROL,ALLOYS,DAB RADIO,BLUETOOTH,HEADS UP DISPLAY AND MUCH MORE WITH A FULL MAIN DEALER SERVICE HISTORY SERVICED AT 10K,19K,27K,38K AND 47K A STUNNING LOOKING AND DRIVING HYBRID AND VERY RARE. APPROVED CARS AND FINANCE ARE PLEASED TO OFFER OUR PEUGEOT 208 1.6 ALLURE 5d AUTO 120 BHP IN GREY. WITH A HUGE SPEC INCLUDING POWER STEERING,ABS,METALLIC PAINT,PARKING SENSORS,DAB RADIO,CRUISE CONTROL,ONE OWNER WITH FULL SERVICE HISTORY AND IN EXCELLENT CONDITION. PLEASE CALL 01622-871-555 TO ARRANGE YOUR TEST DRIVE TODAY. 2016 65 PEUGEOT 108 1.0 ACTIVE 5d 68 BHP IN A METALLIC PURPLE WITH ONLY 31,000 MILES IN IMMACULATE CONDITION. 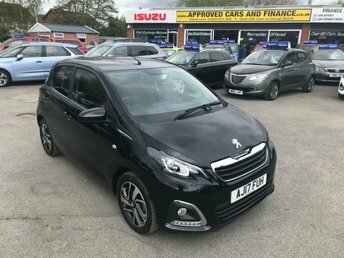 APPROVED CARS AND FINANCE ARE PLEASED TO OFFER THIS PEUGEOT 108 1.0 ACTIVE 5 DOOR 68 BHP IN A METALLIC PURPLE WITH ONLY 31,000 MILES AND A FULL SERVICE HISTORY AT 12K, AND 28K. THIS VEHICLE HAS A GOOD SPEC SUCH AS BLUETOOTH, TOUCHSCREEN DISPLAY, AIR CON, ELECTRIC WINDOWS AND MUCH MORE. THIS VEHICLE IS A PERFECT FIRST TIME DRIVER VEHICLE DUE TO THE SMALL ENGINE THEREFORE VERY ECONOMICAL AS WELL AS HAVING CHEAP ROAD AND INSURANCE. 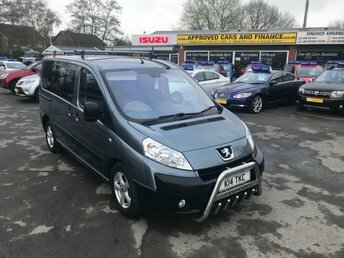 APPROVED CARS ARE PLEASED TO OFFER THIS PEUGEOT EXPERT 1.6 TEPEE COMFORT L1 HDI 6STR 5 DOOR 89 BHP 3 SEATER MOTABILITY ACCESS WITH RAMP IN IMMACULATE CONDITION INSIDE AND OUT WITH LOTS OF EXTRAS SEE PICTURES A GREAT VEHICLE READY FOR ALL TYPES OF USE WITH A DOCUMENTED SERVICE HISTORY. 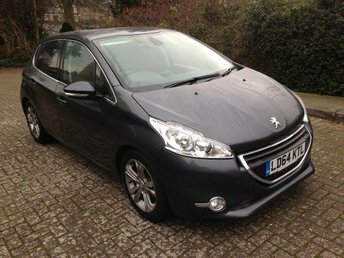 Looking to save money on a used Peugeot for sale in East Peckham? You can always be sure of finding a great deal when you come to Approved Cars Ltd (Approved Cars Izusu). We're proud to be one of the region's leading pre-owned vehicle specialists and with a huge range of quality vehicles to choose from, you're sure to find a second-hand Peugeot that fits your requirements. If you're looking to save on a used Peugeot 206, or want to enjoy the thrill of a used Peugeot RCZ, be sure to speak to a member of our team. Call, get in touch here on the website or pay a visit to the showroom in person.